In Stock. Sold by Wild Soil Almonds and Fulfilled by Amazon. Gift-wrap available. 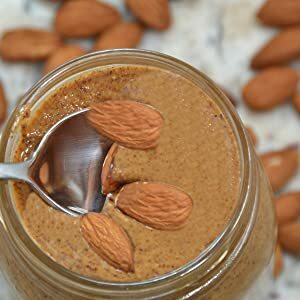 16oz Jar of Almond Butter – Made with California grown Wild Soil Almonds. Distinct and Superior to Organic. Wild Soil Almonds are very unique: they have superior health and taste. They are grown in soils our forefathers knew – biodiverse and productive. Our diversity and vitality are proven and certified. Sustainably grown without any toxic/sterilizing Class 1 pesticides or herbicides such as Roundup/glyphosate. Contains naturally occurring prebiotics and probiotics. Our butter is made with Estate Grown almonds– direct from our farm. Limited production! No additives and No stabilizers: ONLY ingredient is almonds! Made in a peanut-free facility. Not genetically modified. Kosher certified. Gluten Free. BPA-Free Jar. Settling may occur and is normal; mix well. Sold by Wild Soil Almonds and ships from Amazon Fulfillment. 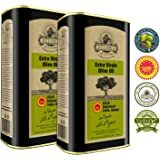 Sold by Terrasoul Superfoods and ships from Amazon Fulfillment. 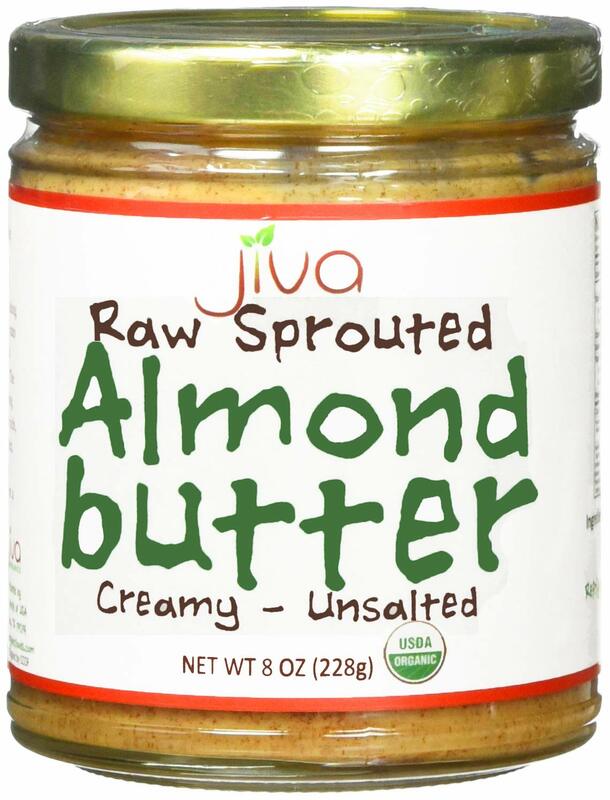 · 16oz Jar of Almond Butter – Made with California grown Wild Soil Almonds. Distinct and Superior to Organic. 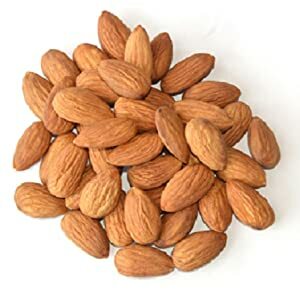 · Wild Soil Almonds are very unique: they have superior health and taste. They are grown in soils our forefathers knew – biodiverse and productive. Our diversity and vitality are proven and certified. 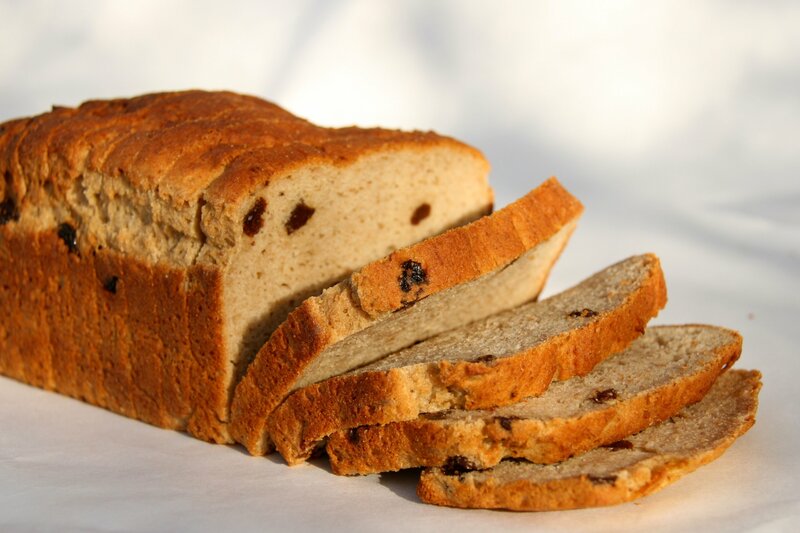 · Our butter is made with Estate Grown almonds– direct from our farm. Limited production! 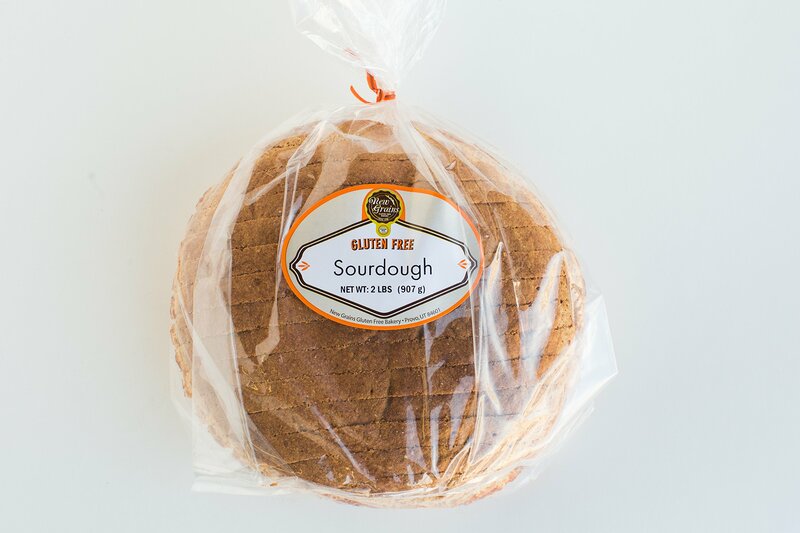 · No additives: ONLY ingredient is almonds! · Made in a peanut-free facility. Not genetically modified. Kosher. Gluten Free. BPA-Free Jar. *The probiotic benefits of the proprietary methods described above have not been evaluated by the relevant government agencies and are not intended to diagnose, treat, cure or prevent disease. You should not use the information described above for diagnosis or treatment of any health problem. You should contact your healthcare professional if you suspect you might have a health problem. We are a multi-generational farm company growing almonds for 25+ years. We developed a proprietary, multi-layered, proven technology. Our almonds are grown in biodiverse and vibrant virgin soils. Because of the extreme vitality and diversity of the soil our almonds contain superior taste and nutritional qualities. Our soil and almonds undergo independently verified proprietary testing, proving their content of naturally occurring prebiotics and probiotics. * No other grower farms the way we do. While although it’s true that 99% of our inputs are certified organic, we believe there is a better way. Wild Soil farming is grounded in science; organic is not. Our methods restore the biodiversity that modern farming practices have depleted over generations. We know of no other better farming method that protects the environment for future generations. Our method is based on a wellness model: healthy soils create healthy almonds. 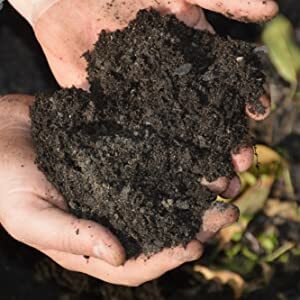 We choose not to be associated with National Organic Program (NOP) because it is inconsistent with our primary focus of building soil health and biodiversity. Fruits, vegetables, nuts, etc. 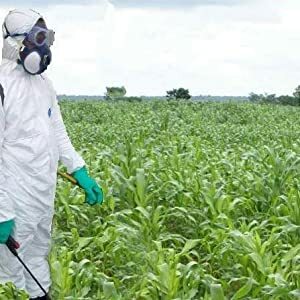 contain naturally occurring life such as probiotics but modern farming practices, organic included, have a different focus and chemicals they use can create sterile soil resulting in foods not rich in life. 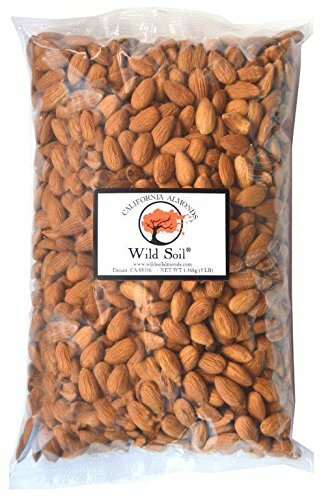 Wild Soil Almonds are grown with methods that protect and improve soils, but without any dangerous Class 1 pesticides (many of which are acceptable for use in organic farming and are dangerous and toxic). Our team of scientists tell us our proprietary form of farming is the safest and most beneficial there is. We use fewer chemicals than any other farming method we know of. We farm the life of the soil. Diversity is what degrades toxins in the soil and environment and builds naturally occurring life such as probiotics in our food. We believe this is a powerful life force, reflecting many research dollars and 20 years of scientific trials and studies. 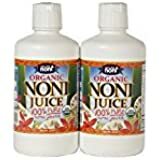 The probiotic benefits of the proprietary methods described above have not been evaluated by the relevant government agencies and are not intended to diagnose, treat, cure or prevent disease. You should not use the information described above for diagnosis or treatment of any health problem. You should contact your healthcare professional if you suspect you might have a health problem. 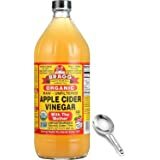 Product was extremely oily and so lumpy it could hardly be stirred - not good - won't buy again or sure. The only reason I didn't give this five stars is because of the price. That said, it's about the same price as the organic almond butters in most stores, and was very good. I especially like anything with probiotics, and after reading a bit about the company on their website I also purchased several pounds of raw almonds, which were excellent quality. This was a surprise! The consistency is runny and more like a thick sauce, but as a nut butter it works being a little less thick like others -- lighter in texture than any I've tried and easier to swallow by the spoon full. 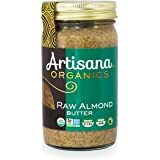 Almond butter is a staple for me and I've tried most of the organic brands, etc. including making my own. 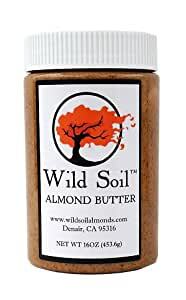 The flavor with Wild Soil Almond Butter is really delicate, a little on the sweet side, and unlike any almond butter I've tasted. I don't taste almonds all that much which is fine, because to me it tastes more like a chocolate (which I can't eat and miss) and it is overall quite delicious. Made almond milk with it (added 1 T this and 1T organic bulk almond butter from area coop)and was like coffee chocolate almond cappuccino (w/out the coffee and chocolate) warmed! Really nice. This is definitely my new favorite almond butter. I just finished one bottle of almond butter. It had good taste and made from all almond without other addition, but the plastic container was not good for almond butter. The glass container is better and healthier than the plastic container for oily almond butter. 4.0 out of 5 starsPlease switch to glass, great product otherwise. I would give five stars if they switch to glass instead of gross plastic. There's lots of good almond butter in the world, but this is the best. It's like fresh fragrant spreadable nuts on any substrate. If you don't eat substrates, try it on bread or a cracker. 1.0 out of 5 starsWon't buy again! 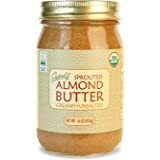 I have purchased a variety of almond butters, this by far being the worst! It arrived so separated, which I understands happens, but I worked 20 minutes trying to stir it up and I can't get it combined. Next attempt is to empty the container and use a mixer. Not how I want to spend my time.